We've rounded up nine of our favorite nearby small towns that offer big fun without extensive travel. 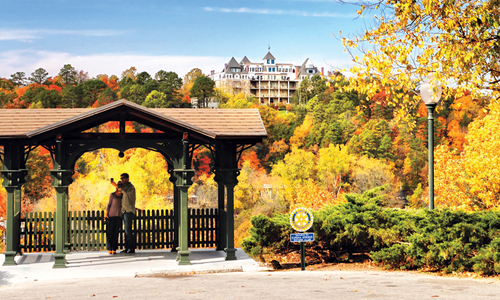 Pack an overnight bag and see what area towns have to offer for a weekend getaway. A vacation doesn't have to include a beach, a big city or an international flight. 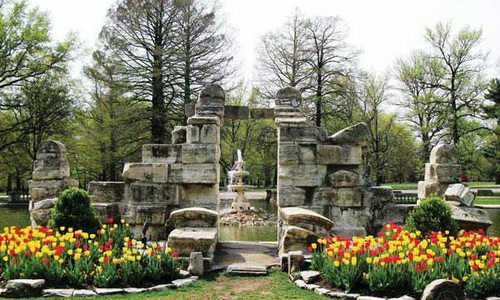 Southwest Missouri is uniquely situated within driving distance of numerous small towns that offer big fun. We chose nine of our very favorites—each one with its own personality. 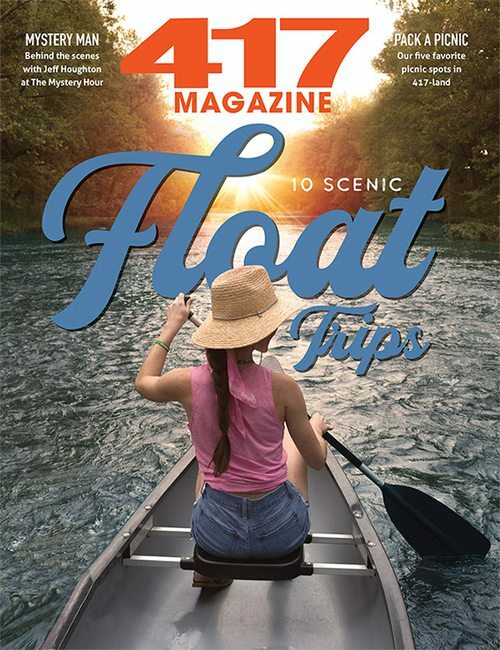 Throw this issue in your overnight bag and hit the road. Your next big (little) adventure awaits. Come for the chicken, stay for the shopping. 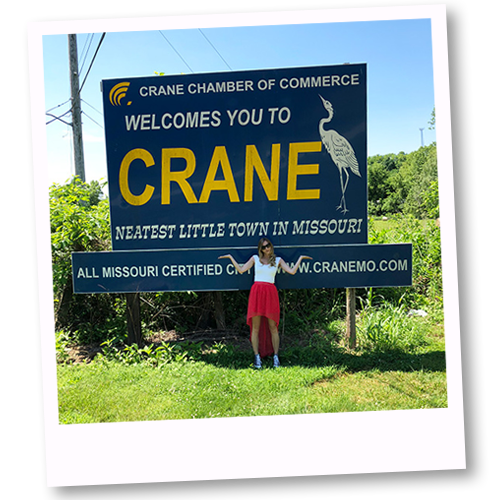 Between the town’s tasty summer festival and its Main Street lined with quaint shops, there are plenty of ways to have fun during a day away in Crane. Pop into The Classey Corner Cafe for a handmade malt or milkshake. The shop was Crane’s original drugstore—soda fountain and all. The owner says many people still come in reminiscing about their first date sharing a Coke. Think choosing a dessert is a cakewalk? Think again. 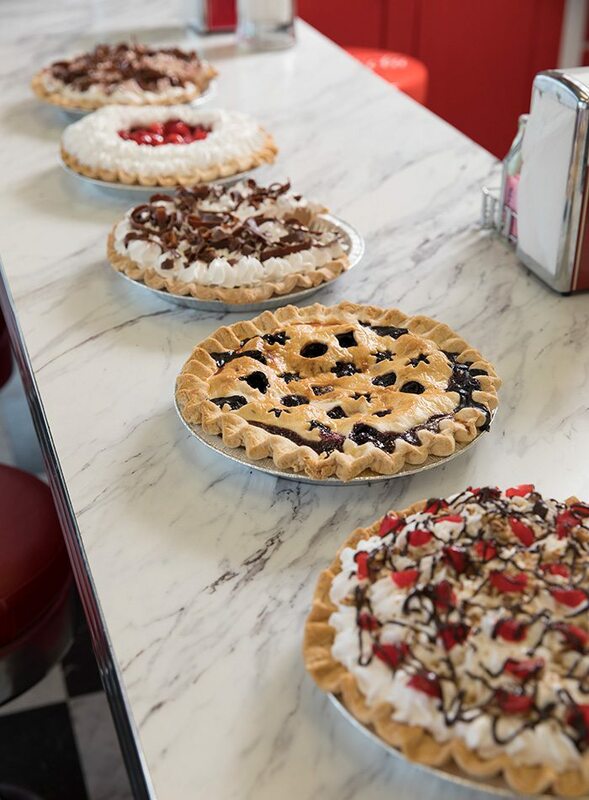 In flavors like banana split, blueberry, chocolate silk, strawberry and chocolate raspberry, the handmade pies at The Classey Corner make it hard to pick just one. There’s a festival for everything, and that includes chickens. They’re the centerpiece of the annual Crane Broiler Festival. While plates of barbecued cluckers are the culinary draw, this sweet small-town festival also features spinning carnival rides, live music, the Slick Chick Pageant and lots of steamy summertime fun. There’s still time to plan to attend this year’s tasty fest; it takes place August 22 to 25. Even if you don’t visit for the festival in August, Crane will feed you something delish. At The Classey Corner (202 Main St.) flea market and cafe, desserts are in no short supply as luscious cakes and creamy pies line the bakery counter. 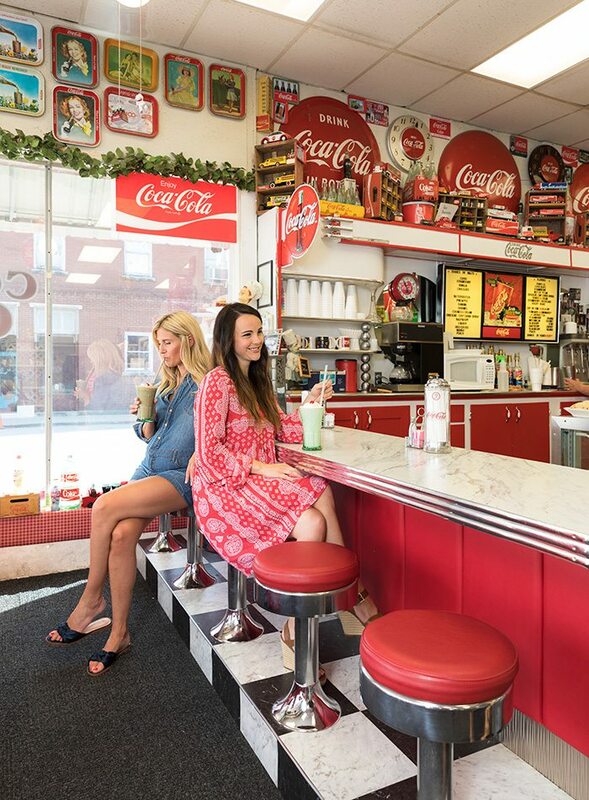 You can’t miss the kitschy decor that’s heavy on Coca-Cola memorabilia. A few steps away at Hickory Grove Cafe (206 Main St.), it’s all about hearty fare like burgers, nachos and chicken wings—and more pies. 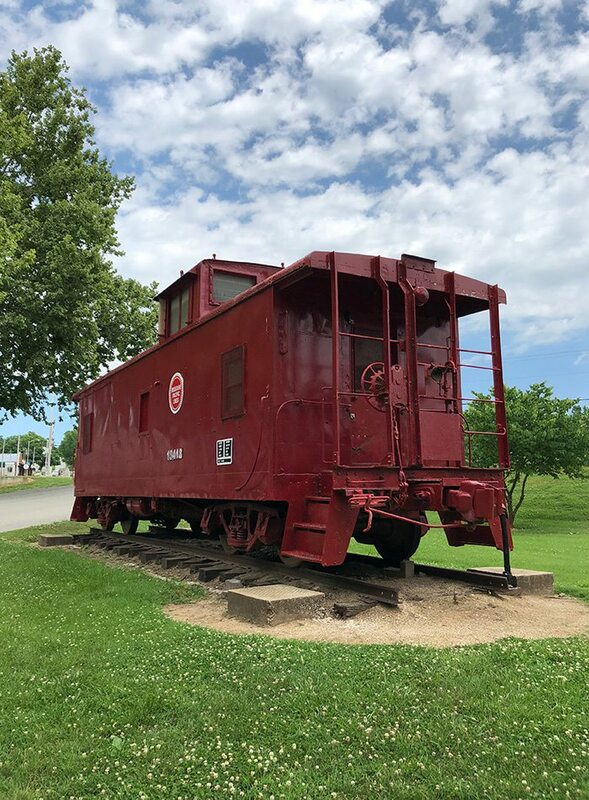 Quirky sights like train cars and the main draw, barbecue chicken, will have you clucking for joy at the Crane Broiler Festival. With its charming cafes and small-town shopping opportunities, Crane is one sweet little spot. After lunch, you can find numerous opportunities to shop for antiques and other boutique finds. The Velvet Moose is a favorite. 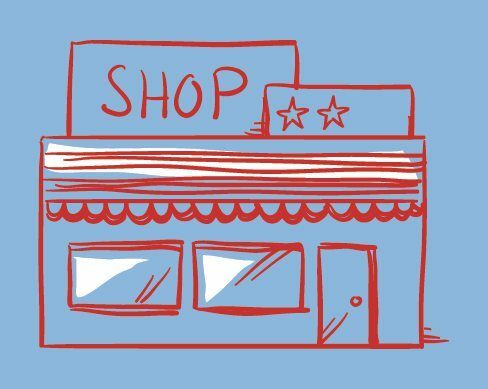 Other shops worth exploring include Peddler’s Junction Flea Market & Decor, Main Street American Shop, Primitive Merchants, Bodacious Boutique for women’s clothing and Frank Flea Market. Each with its own personality. The most charming little square around. The town square in Bentonville is as cool as it is quaint, and it has enough dining and shopping within walking distance to fill a weekend. 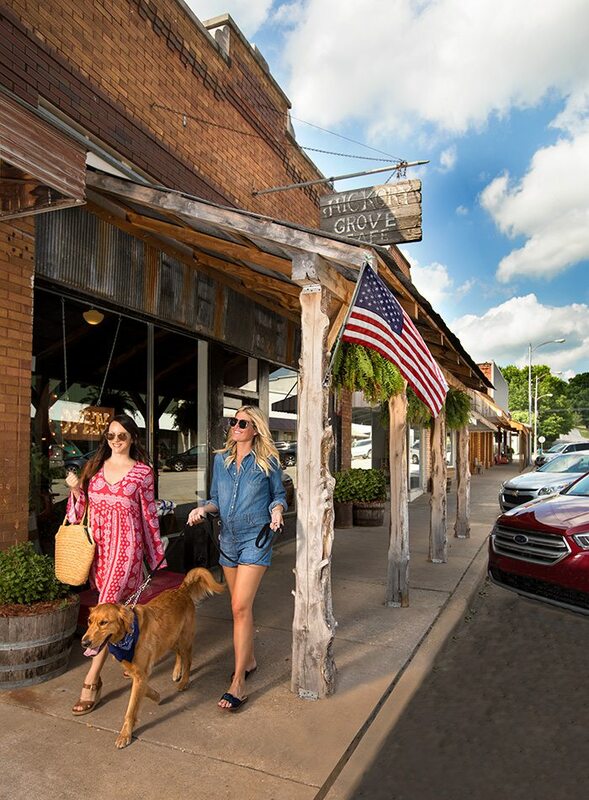 Photo courtesy The Scout Guide/Meredith Mashburn PhotographyThe Bentonville town square is a picturesque slice of pure Americana. Bentonville, the biggest little town on our list, is impressively picturesque. Its wide and well landscaped town square is always bustling, and it’s surrounded by more delicious dining and fun shopping than you could possibly try during one trip. 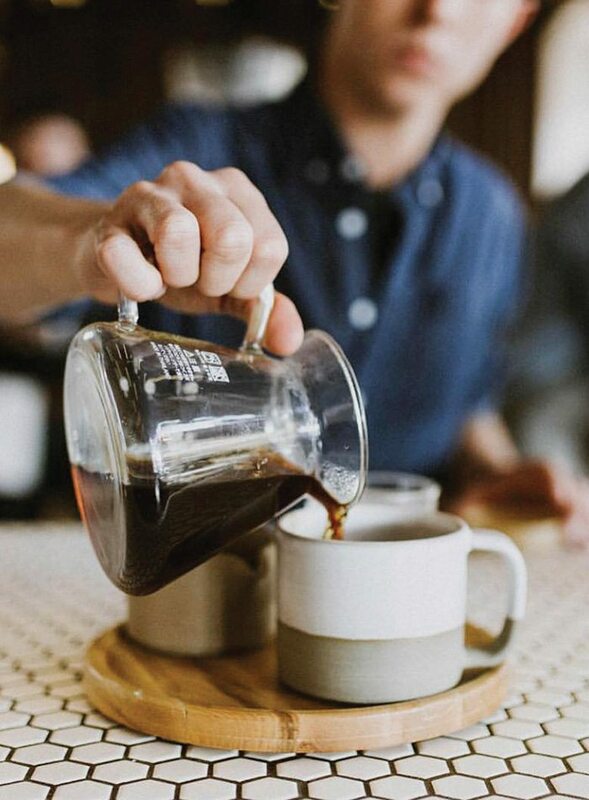 Start the day with a drink at Onyx Coffee Lab—your social media accounts will thank you because everything there is photo-worthy enough to up your Instagram cred. Then shop at the oh-so-sweet Rollie Pollie to pet Luna, the resident Great Dane, and pick out a present for your kids—whom you probably left at home. 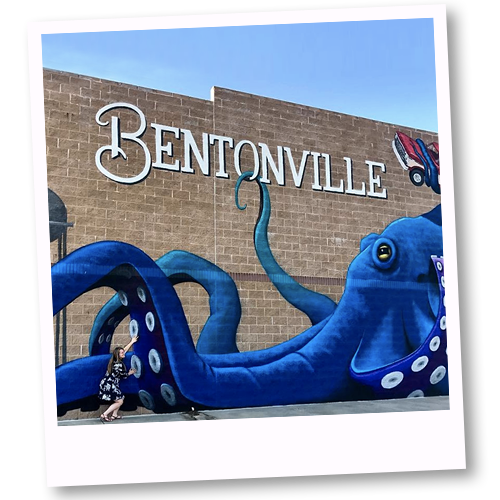 (Did we mention Bentonville is a great date getaway?) If kids products aren’t your thing, then just put on your walking shoes and explore because the square has plenty of clothing and gift boutiques as well. 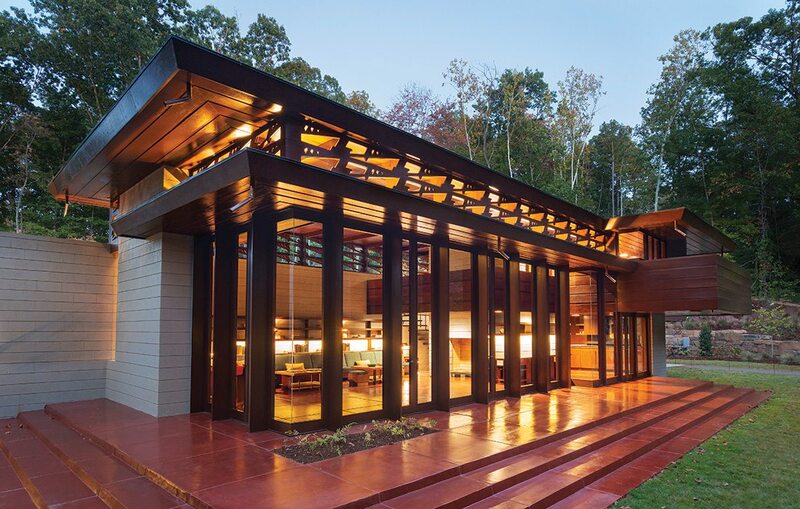 Photo by Nancy NolanTake in a Frank Lloyd Wright marvel. 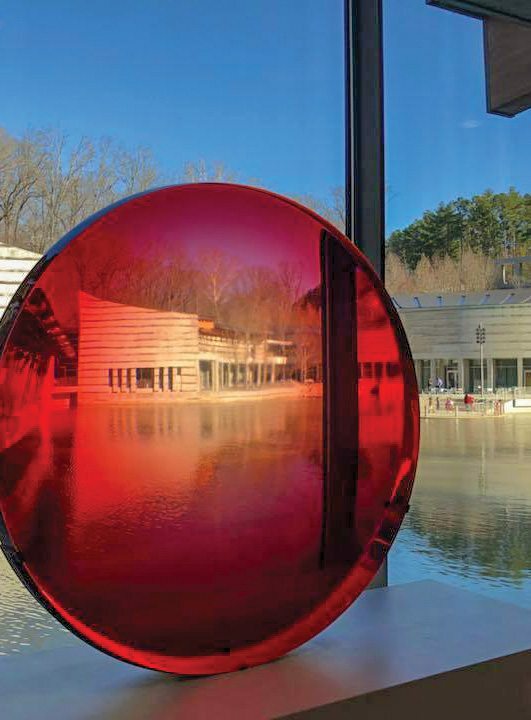 While you’re at Crystal Bridges Museum of American Art, spot pieces like Big Red Lens. Experience java nirvana at Onyx Coffee Lab. 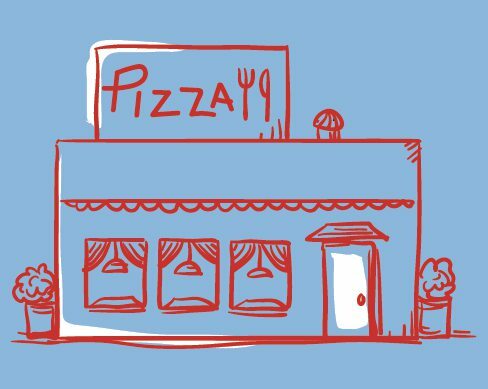 When you get hungry again, dine at one of the many nearby walkable eateries. Like Oven & Tap, which offers simple-but-creative meals cooked in a 1,000-degree wood-fired oven. Or The Preacher’s Son, a rustic fine dining restaurant located inside a beautiful former Gothic Revivalist church. You can venture off the square, too, though! Hop in your car, and drive straight to Crystal Bridges Museum of American Art, where you can explore incredible exhibits both inside the building and out. The museum is surrounded by walking trails dotted with eye-catching sculptures. (Bonus: Eleven, the museum’s restaurant, is fantastic.) Architecture buffs will love this place. The museum itself is stunning, but the Bachman-Wilson house—a Usonian home designed by Frank Lloyd Wright—sits on the property. Reserve a spot on one of the guided tours of the home; it’s fascinating. When you’re ready to wind down, it’s back to the square you go. Two great lodging options within walking distance of the town center are 21c Museum Hotel and The Henry. 21C is a worthy destination even if you aren’t sleeping there. The hotel’s public spaces are filled with ever-changing galleries of modern art. If all that wandering has worked up your appetite, the on-site restaurant, The Hive, offers a delicious menu. Of the two lodging options, the Henry is homier; the darling A-frame cottage with soaring ceilings and modern farmhouse decor is available through Airbnb. Get some rest, then explore some more the next day. This is a two-day getaway for sure. In front of Big Blue, the giant octopus mural at 2910 S. Walton Ave. Sometimes a town only feels small. These are three of our favorites. 1. Pop into shops along the darling cobbled Main Street in downtown St. Charles. 2. Learn about two trailblazers at the Lewis & Clark Boat House and Museum. 3. Tour the home of legendary frontiersman and explorer Daniel Boone. 1. Explore Mizzou’s campus—and be sure to snap a pic in front of The Columns. 2. Grab a hot-and-tasty slice from Shakespeare’s Pizza. 3. Trek the boardwalk and peek into Connor’s Cave at Rock Bridge Memorial State Park. 1. Indulge in a sundae with at least three scoops at Central Dairy ice cream parlor. 2. 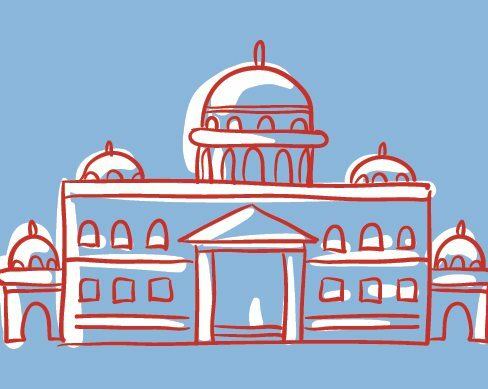 Satisfy your civic curiosity with a visit to the Missouri State Capitol. 3. Tour the supposedly haunted and definitely historical Missouri State Penitentiary, which was open from 1836 to 2004. The little town that rocks. 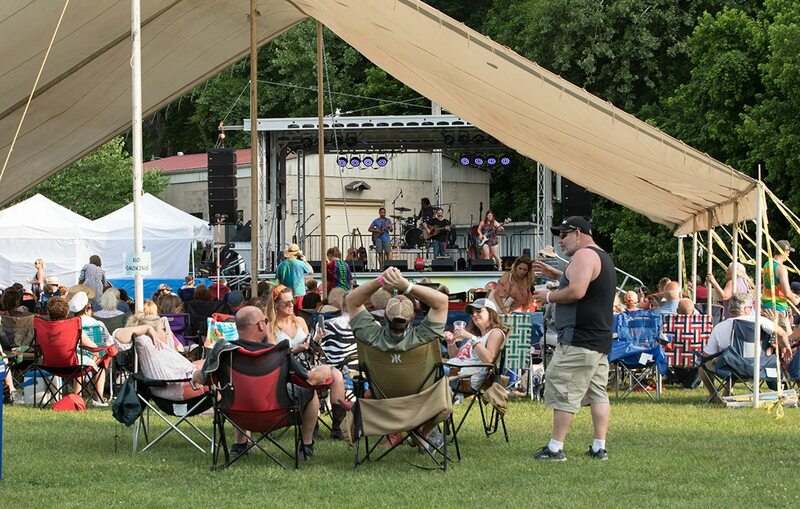 Live music and delicious food draw visitors to this tiny stop on the way to the lake. 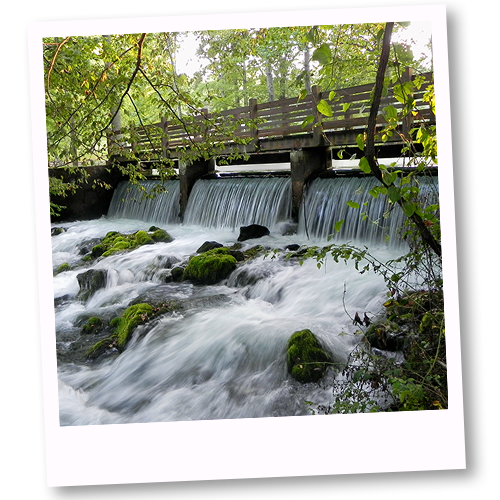 The tiny town of Reeds Spring is the perfect Friday stopover on your way to Table Rock Lake. Start your exploration with a meal and end it with a concert before continuing your lakeward journey. There are a couple of tasty dinner spots in town. 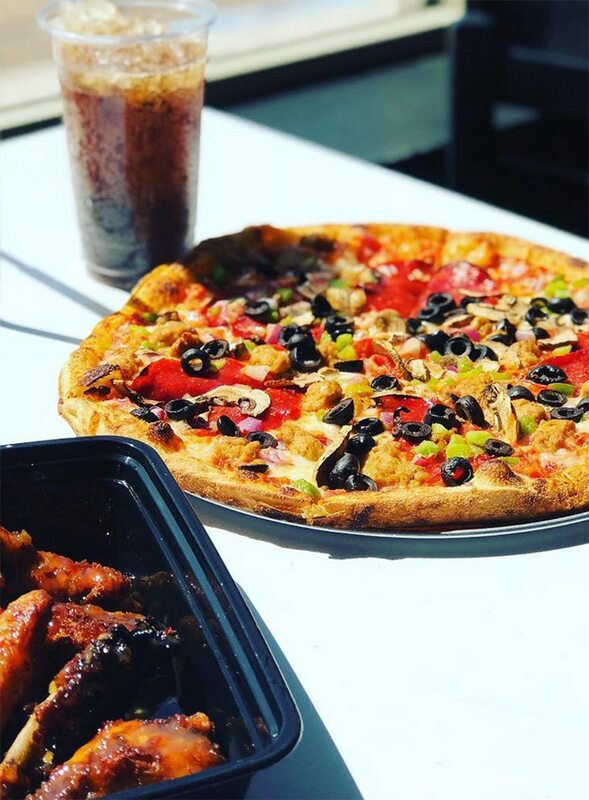 Reeds Spring Pizza Co. satisfies pie fans, and offers creative combos, like the Galline pizza’s basil pesto, grilled chicken and cashews. Longtime favorite Papouli’s (725 E. Highway 248) is known for Greek favorites like saganaki—flaming cheese!—and some seriously enormous filet mignon kabobs. When you’re sufficiently stuffed, visit The Rock House Center for the Arts, which hosts local bands for a great—and perhaps surprising—live music experience. There’s even a bigger annual event: This year, the Rock House Music Festival was on June 2 and featured Big Smith and six other bands. After the show, how about some ice cream? As you drive down Main Street, look for the black-and-white checkered building with picnic tables out front. 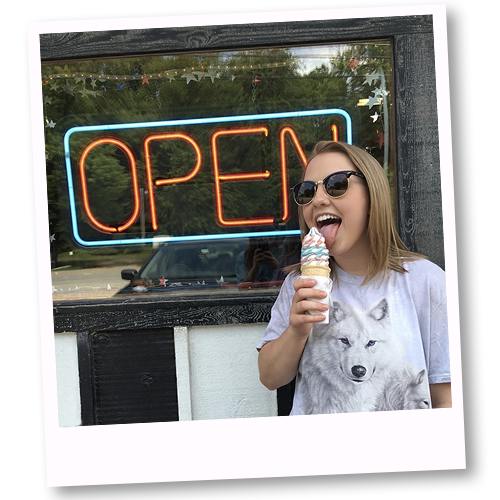 That’s Pop’s Dari Dell (22527 Main St.), which bills itself as “Home of the Twist.” That’s a cake cone topped with a towering dollop of soft serve ice cream rippled with a fruit-flavored syrup of your choosing. At Pop's Dari Dell, with an ice cream cone as tall as your head. A sweet stop on the trail. This little river town is the ideal stop for outdoors enthusiasts and history buffs alike. 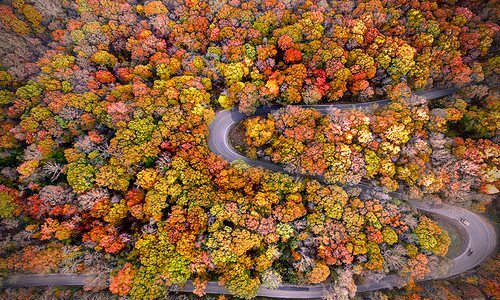 YEAR FOUNDED 1817 | POPULATION 8,319 | DRIVE TIME 3 hours north of Springfield | BEST TIME TO GO October, to catch fall color before trail season ends | CLAIM TO FAME Boonville gets its name from Daniel Morgan and Nathan Boone, although the “e” was dropped. Do those names sound familiar? They are the sons of Daniel Boone. 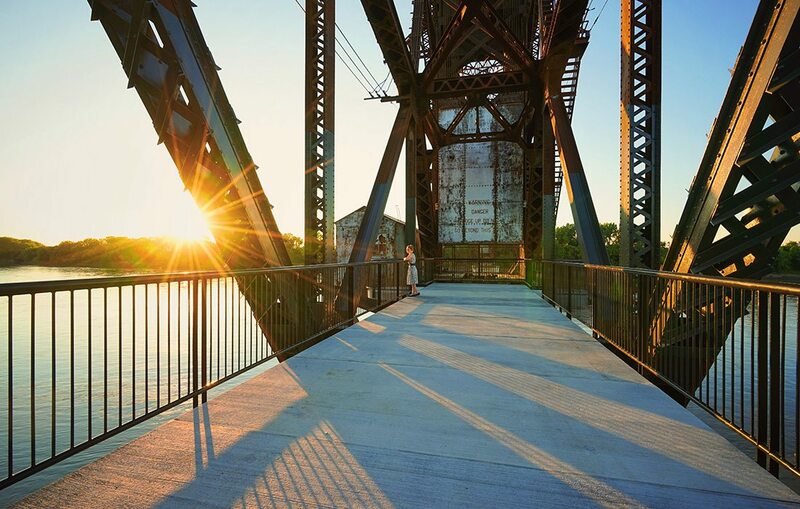 Photo courtesy Missouri Division of TourismTake in the sights of the Missouri River from the Historic Katy Trail Railroad Bridge in Boonville. Tucked into a nook where the Katy Trail crosses the Missouri River, Boonville is a charming mid-Missouri stop. The town was the site of four Civil War battles, but its location along the MKT Railroad has been its lasting legacy, as the formation of the Katy Trail has helped preserve some of its sweetest elements. Take for instance the Katy Depot and Caboose. Built in 1912, it’s a beautiful Spanish Mission–style train depot that is now home to Champion Bicycles, where you can rent a bike to pedal about while you explore the trail. Including the depot, Boonville has more than 400 spots on the National Register of Historic Places. A self-guided walking tour takes you to places like the Roslyn Heights Mansion (Missouri’s Daughters of the American Revolution headquarters) and the Old Cooper County Jail. 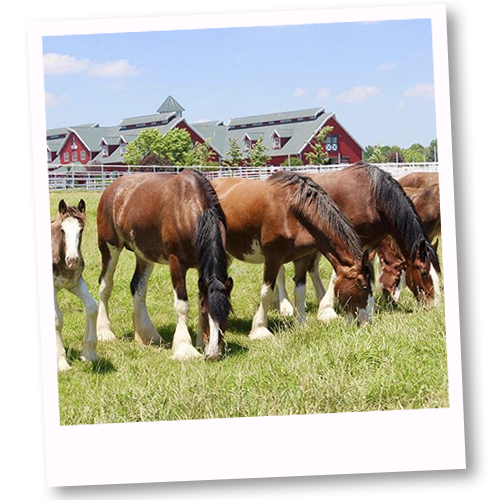 The Budweiser Clydesdales also call Boonville home at Warm Springs Ranch. The property has 300 picturesque acres and about 70 horses that you can visit on a guided tour. Another beautifully preserved landmark is Hotel Frederick, which was built in 1905 and is a great place to stay and dine. Grab a meal at its Revival Restaurant & Lounge. 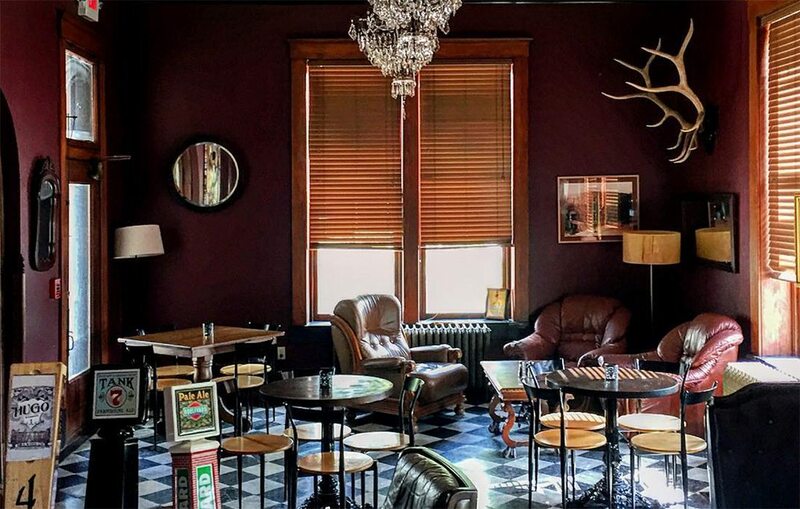 Photo by Nicholas MahrtServing beer and history on draft, Hotel Frederick’s bar is an elegant little spot to catch your breath. Right beside your newest equine friend at Warm Springs Ranch (@warmspringsranch). Ideally, you’ll get that perfect quirky Clydesdale photobomb. 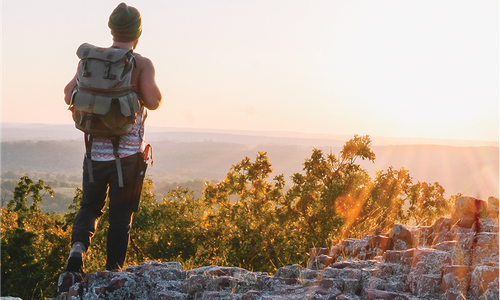 This I-44 stopover is all about tasty treats and outdoor fun. Start your busy St. James day at Firehouse Coffee House, where you can warm your mitts around a cup of joe. Too toasty? Try an iced latte or sweet smoothie instead. The blue spring at Maramec Spring Park churns out 100 million gallons of water every day. It’s surrounded by a picturesque and shady park with places to picnic, cast a line or just relax. If woodfired pizza is your thing, stop at Missouri Pizza Company and unleash your inner carnivore with the five-meat MO’ Meats pie. Holy heart attacks, Batman! Budding wine enthusiasts can grab a post-lunch drink at Just a Taste. Its mission is to aid guests in sipping around to find their new favorite wine. 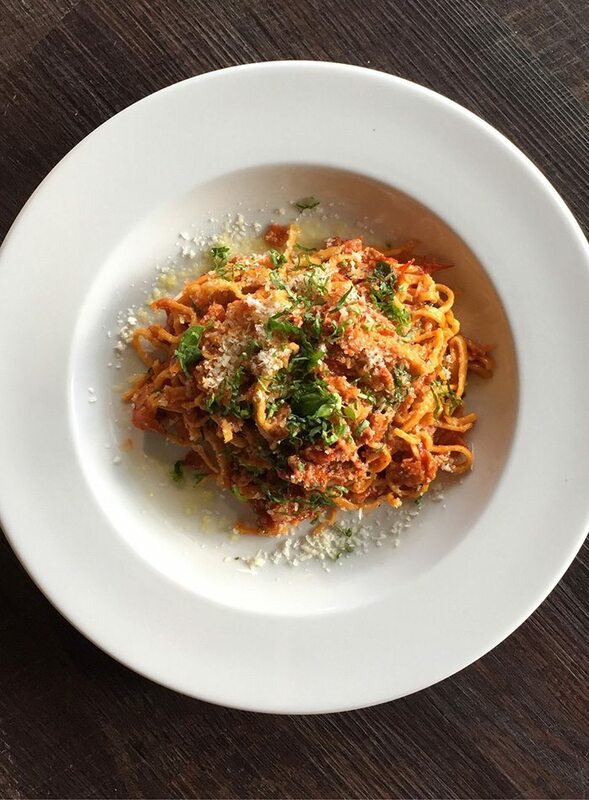 Alternately, go for dinner and try the made-from-scratch pastas. Work off your lunch at the 10-mile single-track Forest City Mountain Bike Trail. Its 1,065 feet of elevation are a challenge for beginners and dedicated cyclists alike. 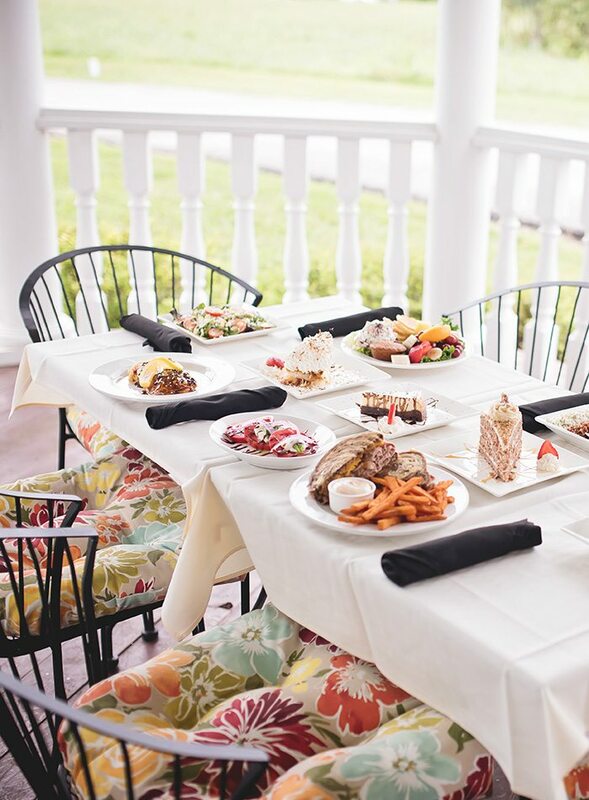 Sybill’s St. James is housed in a picturesque, century-old farmhouse with a manicured lawn and Southern charm. The menu is huge, with luscious options like surf and turf pasta featuring seafood ravioli. 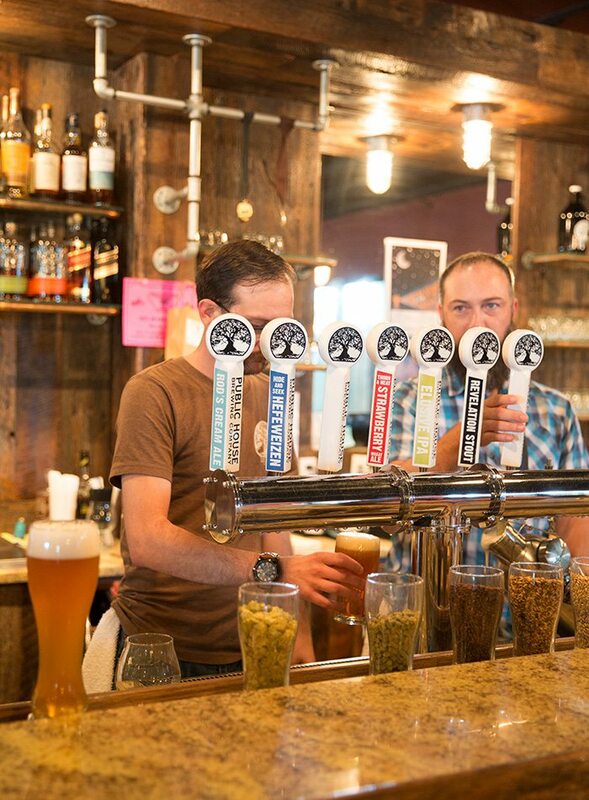 Round out your day in St. James by sampling locally made beer at Public House Brewing Company. If you’re still hungry, fill up on snacks like chewy soft pretzel bites or a platter of house-made pickles. In front of the scenic, rushing falls at Maramec Spring Park. The old-timey appeal of Billings means you can fill your day exploring salvage shops and flea markets all along the main drag. Billings sits in the northwest corner of Christian County’s panhandle, and everything about it just screams historical charm. There’s The Bank Tavern (128 E. Washington Ave.), housed in—as you might be able to guess—a former bank. But it has been serving cold beer instead of cold, hard cash since 1933. And then there’s the shopping. Billings is a dream come true for people who love flea markets and shops filled with salvaged treasures, and there are numerous shops along the town’s main drag. Make sure you visit Pheona’s (103 W. Highway 60). In addition to antiques, the shop offers new home decor and gift items. Whistle Stop Resale Shop (260 Northeast Highway 60) puts a twist on the antique mall formula by making the booths look like cute little town-square storefronts. When hunger strikes, head to Los Girasoles (451 Southwest Highway 60) for some gigantic burritos and a few indulgent dips into the queso blanco. 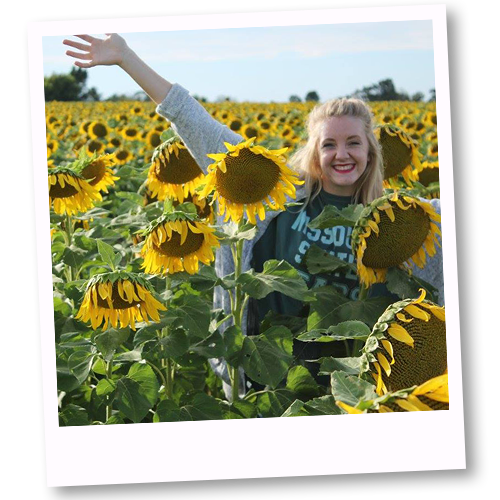 Los Girasoles means “the sunflowers,” so your Mexican meal might just get you in the mood for your next stop: a magic hour visit to Garbee Sunflower Field. It’s located on Highway 14 between Billings and Clever, and it’s a superb summertime photo op. Stop for a snap, but make sure you leave the flowers where they are; they’re not for picking. End your day by heading about 15 minutes southwest to Aurora, where you can take in a movie at the Sunset Drive-In (1601 E. Church St., Aurora) before heading back to 2018. Garbee Sunflower Field. It’s basically the holy grail of Instagram backgrounds (and insta-jealousy among your friends).